Open : April to October ... 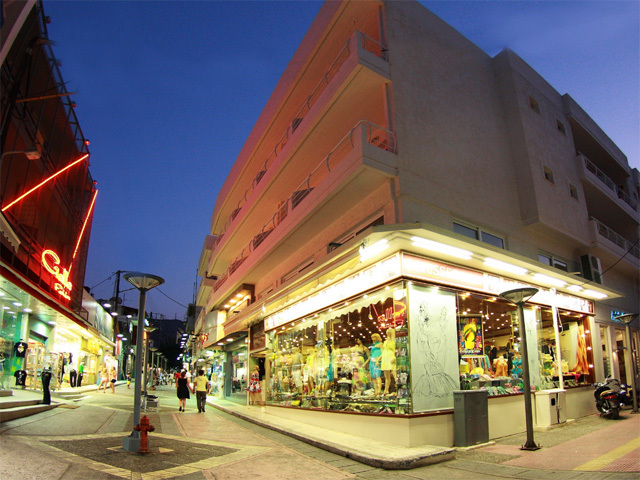 The Apollo Apartments are centrally located, near the lively centre of Hersonissos and only a few minutes' stroll to the beautiful beach. Open: May - October... 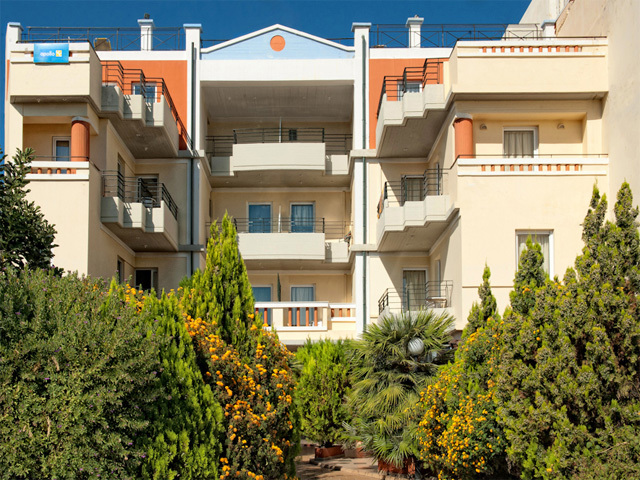 Welcome to Floral Hotel, an elegant hotel offering high quality standards in the heart of Hersonissos in Crete.The hotel is situated in the center of Hersonissos and just 150 meters from the sandy beach. Guests can make themselves at home in one of the well-appointed rooms that are furnished in a typical Cretan style with wooden furniture. 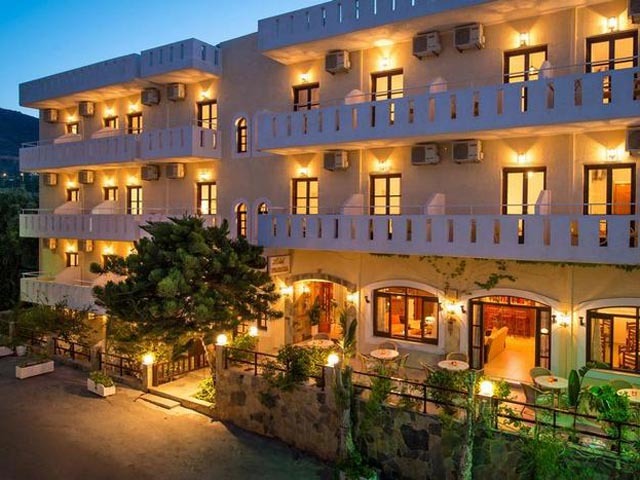 Open : May to October .... Harma Boutique Hotel, the recently renovated hotel is situated in the centre of Hersonissos, which is full of restaurants and tavernas serving countless exquisite island delicacies. A stone’s throw away from a beautiful beach, the boutique hotel offers modern, spacious rooms and has been described as a true gem by guests. 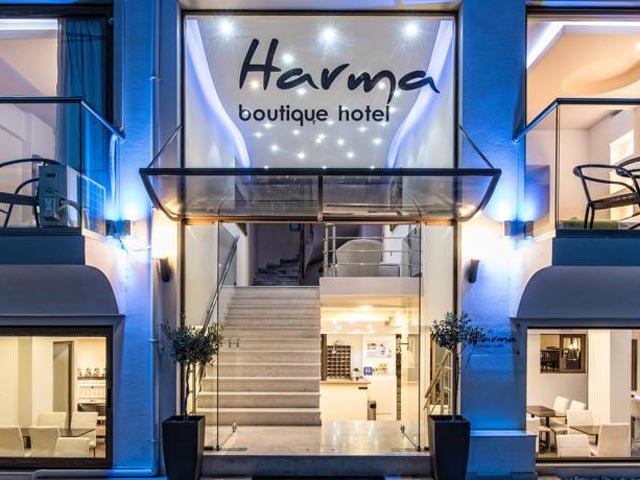 With accommodation for everyone’s pocket, Harma Boutique Hotel offers the perfect destination for groups of friends or families that wish to experience every bit of what a Greek island holiday should be.